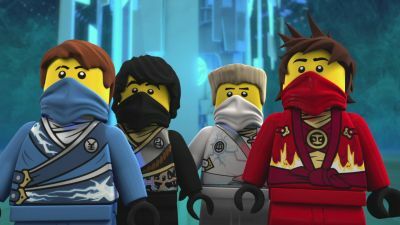 Here's where to watch every episode of LEGO Ninjago: Masters of Spinjitzu season 3. Mouseover or tap an episode to see where to stream it. Click or tap the play icon to stream it on the best available service. 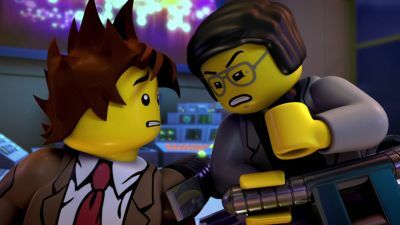 The Surge Jan 29, 2014 A new day dawns in a new Ninjago City as the Ninja, teachers in Sensei Wu's Academy, long for the days of fighting evil, but things in their homeland have become so technologically advanced that they don't feel needed, but they may be very wrong. The Art of the Silent Fist Jan 29, 2014 After they escape Borg Industries with new gear, they must save Sensei Wu and defend against General Cryptor and the nindroids. Black out Apr 16, 2014 The power is out all over Ninjago. However a mysterious Stranger is sending alternatively powered Nindroids to attack the Ninja and capture Lloyd. The Curse of the Golden Master Apr 16, 2014 The ninjas' search for the Stranger and the Digital Overlord brings them deep underground where an old enemy assists them. Enter the Digiverse Jul 13, 2014 Pythor the Anacondrai and his Nindroids have captured Lloyd and are draining his golden powers to bring the Overlord back to Ninjago. And the Ninja must use their Techno Blades in a daring rescue - inside the Overlord’s corrupted hard drive. Codename: Arcturus Jul 13, 2014 Lloyd is free but Pythor and the Overlord are nowhere to be found. However, the Ninja have a cryptic clue to their next plan - something called Codename: Arcturus. But what is it? Finding out won’t be easy but it will ultimately take the Ninja to a place they never ever thought they would go. The Void Nov 26, 2014 The Ninja will have to quickly adapt to space as they race the Nindroids to retrieve the Golden Weapons of Spinjitzu. But one thing is getting to space. Another is to get safely back home again. The Titanium Ninja Nov 26, 2014 Back in Ninjago it is time for the final battle with the reborn, god-like Overlord called "The Golden Master". The stakes have never been greater and one ninja must make the ultimate sacrifice to try to stop his reign of destruction. The Last Voyage The Ninjas, Lloyd, Sensei Wu and Misako journey to the Dark Island to find a 'Temple of Light' that can restore the Ninjas' elemental powers but are attacked by Starteeth (barnacle-like star fish) that start eating through their ship. 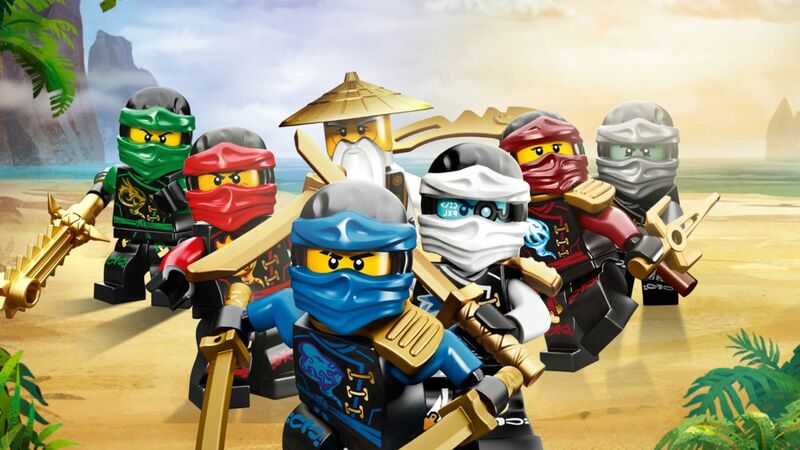 Island of Darkness After battling off Garmadon's Stone Army, the Ninjas finally arrive at the Temple of Light where they harness their pure elemental powers, concentrating them onto Lloyd who becomes more powerful than he ever imagined. 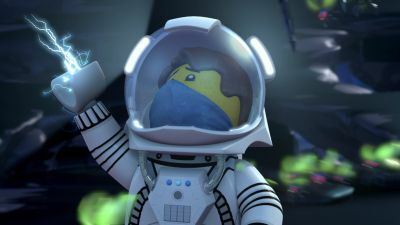 The Last Hope When the Ninjas' attempt to return Garmadon's 'Helmet of Darkness' to its perch at the Celestial Clock in order to prevent the final battle between Lloyd and his father from beginning fails, a Super Weapon is created that can destroy all of Ninjago. Return of the Overlord Garmadon's ultimate weapon, the Garmatron (Which in effect is a giant Cannon), is completed. The Overlord, the Stone Army, and Garmadon drive the vehicle to the coast of the Dark Island, but not before testing it out on Nya. 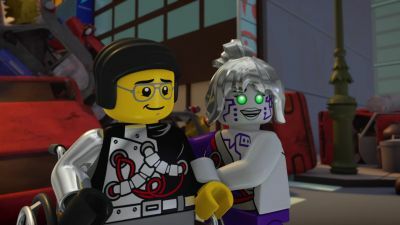 The Ninja pursue Garmadon to the coast, and discover that Nya has turned evil, gaining all of Garmadon's dark abilities in the process. 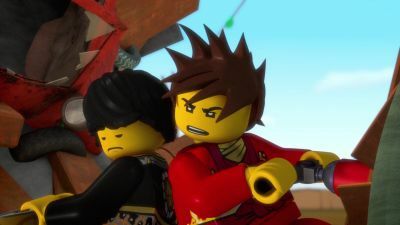 Kai, Jay, Zane, and Cole stay behind to deal with Nya, while Lloyd, Misako, and Sensei Wu rush to stop the Garmatron. They fail, and Garmadon turns Jamonkai Village, and the town around Four Weapons evil. 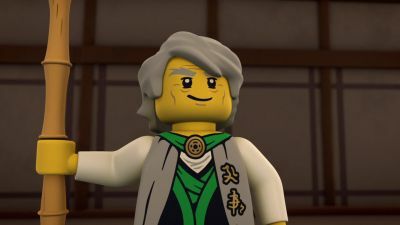 The shift in the balance of good and evil allows the Overlord to poccess Garmadon's body and begin to transform into his original form. Lloyd challenges him, but is injured in the resulting battle. The Overlord attempts to turn Lloyd, Wu, and Misako evil with the Garmatron, however the Tinkerer appears in Destiny's Bounty, and crashes it into the missle before it hits them. 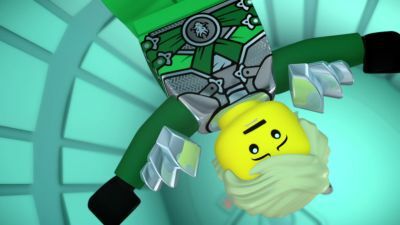 The whole Stone Army and the Overlord create a portal to Ninjago City, and head there to turn the rest of Ninjago evil. With the Destiny's Bounty now destroyed, the Ninja have no way to get back accross the sea and stop them. Rise Of The Spinjitzu Master Time is running out for the ninjas as the Overlord have reached Ninjago city. 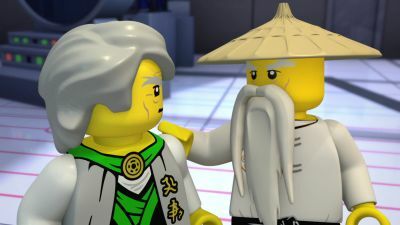 However, the ninjas, Sensei Wu, Misako and the Tinkerer are still unable to return to Ninjago.